Rubber Room Ramblings: STAMPIN' UP! WELCOMES AUGUST WITH TONS OF SPECIALS! STAMPIN' UP! WELCOMES AUGUST WITH TONS OF SPECIALS! JOIN THE STAMPIN' UP! DEMONSTRATOR FAMILY FOR ONLY $85! From July 15–August 31, you can join the Stampin' Up! family for as little as $85 with the Mini Starter Kit. Have fun helping friends and family create exciting projects, while earning free products and even a little extra cash! 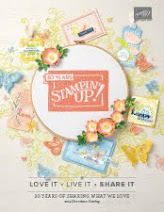 I love and enjoy all the benefits of being a Stampin' Up! Demonstrator, and this special is a perfect opportunity for you to join my Stampin' Up! Demonstrator Family and love all the benefits too! Just contact me and I'll fill you in on all the details and answer all your questions. COUNTRY LIVING SUMMER COOKOUT KIT -- 40% OFF WHILE SUPPLIES LAST! Now only $14.95 (refill $9.95), the Country Living Summer Cookout Kit will ensure your summer party is a hit. Available through August 31, or while supplies last. 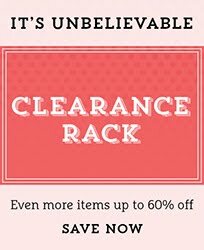 You won't want to miss out on this deal! Whether you're planning the perfect barbeque or just want to be everyone's favorite hostess, this kit is a must. From August 1–31, get a FREE package of Designer buttons—a $7.95 value—when you spend $35 on stamp sets in the Growing Up section of the catalog. The Growing Up section of the catalog begins on page 74 with the Party Kits and ends on page 90. In these pages of the catalog you will find some totally awesome stamp sets that are sure to put a smile on everyone's face. Be sure to check them out! 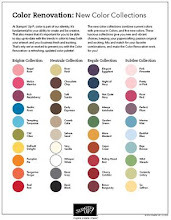 The Designer Buttons can be found on page 181 of the catalog, and come in three different color groups. I will warn you, though, that these buttons are so colorful and cute, you'll want them all! No matter what your stamping needs are, Stampin' Up! has a special for you this month! Please contact me to place your order for any/all of these specials, or use my 24/7 shopping button on the ride side bar of this blog to place your order today! If you want to take a peek at the specials, you will find links for all of them on the left side bar of this blog!